If you were tuned into the BlackBerry World 2012 keynote, then you already saw what Pacemaker is and how it works. However, if you missed out on that coverage then now is as good a time as any to go ahead and get yourself up-to-date because right now Pacemaker is available in BlackBerry App World awaiting your push of the purchase button. 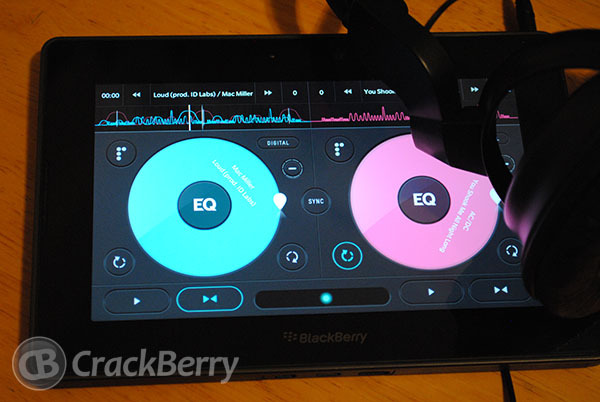 With it, you'll be able to mix, sync, and scratch digital music on your BlackBerry PlayBook, as well as apply effects, loop, and much more to provide a rich DJ experience. Having seen it in action first hand, it's pretty awesome to mess around with though it does take some time before you can kick out some block rocking beats. Need to see it in action before you hop in? Check the video below and make sure you hit the download link as well to grab Pacemaker from App World, after all the developers chose the BlackBerry PlayBook because it's running on the only "true, real-time operating system" on a mobile device and for highlighting that fact they deserve some love. While it is pretty steep at $19.99, you can always check out Pacemaker Lite to see if it's for you. Plus, you know -- remixin some Beastie Boys on it is just straight up badass! RIP MCA!